John Lamonby met Steve Allen in 1976. They shared a love of stamps having both collected since their school days. 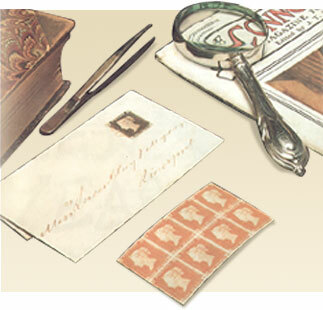 John specialised in the stamps of Great Britain whereas Steve had an extensive collection of old British Empire issues handed down by his Grandfather. Together they shared this mutual interest, so decided to become partners in the hobby and Lamonby & Allen was born in 1978. They had started to dabble in dealing, firstly table top stamp fairs and exhibitions but it was not long before they both agreed that a wider audience could be gained by 'Mail Order'. Tiny adverts in the back of Stamp Magazine soon led to a larger campaign and their customer base began to grow. At first the partners dealt in Great Britain issues only but pretty soon they expanded into The Old Empire. During the 80s and 90s John and Steve travelled far and wide attending major events in the philatelic calendar. In 1987 Lamonby & Allen embarked on a campaign in the States and have been regular advertisers in LINNS Stamp News ever since. Their customer base now touches on many countries around the world and very many of their customers are now firm friends. Long established and with good stocks their lists, journals and brochures give pleasure to thousands of collectors. March 2010, is a historic landmark for Lamonby & Allen, after 33 years Steven Allen has decided to take early retirement. However Steven has no plans to leave the hobby entirely but rather to deal on a part time basis in fine adhesives of Great Britain and the Empire. John Lamonby is carrying on the business, but under the new name of 'John Lamonby Fine British and Empire Adhesives'.